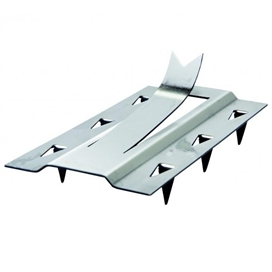 All posts and gravel boards are steel reinforced for extra strength and long life. 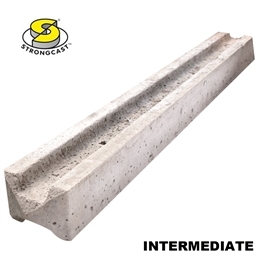 In tests Strongcast Posts far exceed British Standard specification for crushing strength and are considerably better than wet-cast products for load, deflection, destruction and compressive strength characteristics. 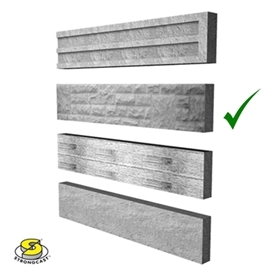 Products have a slightly more textured appearance than wet-cast concrete. A range of surface treatments may be used to colour and co-ordinate with modern garden colour schemes. 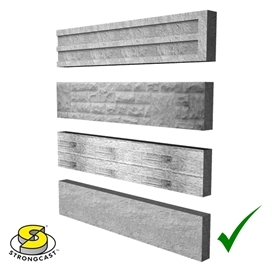 With so many advantages over traditional timber, Strongcast Slotted Concrete Posts have become the most popular choice for panel fencing. 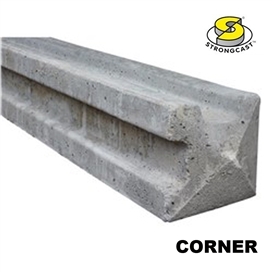 Like all Supreme Posts, they are made from high strength concrete, reinforced for ultimate durability and long life. 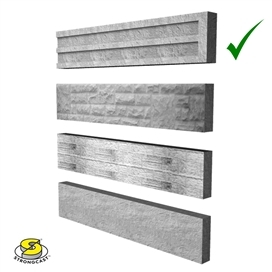 Easy to install and cost-effective, Strongcast Slotted Concrete Posts are completely unaffected by moisture and rot and will give years of extra life to any panel fencing installation. 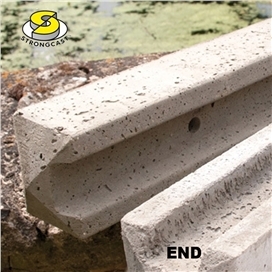 Strongcast Slotted Posts are available in five sizes. Gravel Boards prevent rot at the bottom of the wooden panel, adding considerably to the life of the fence. Available in four styles, 1830mm (6') long to correspond with standard panel lengths and two heights 150mm (6") and 305mm (12"). 1800mm (5'11") long Gravel Boards are also available.